The automatic dimmer ACD 04 is a simulated sunrise and sunset by one or more light bulbs. The photocell is to ensure that the dim light in the day, when it is light, stays off, in sunny days (if it is, for example, very bright) switch is also clear from the fluorescent lamps. 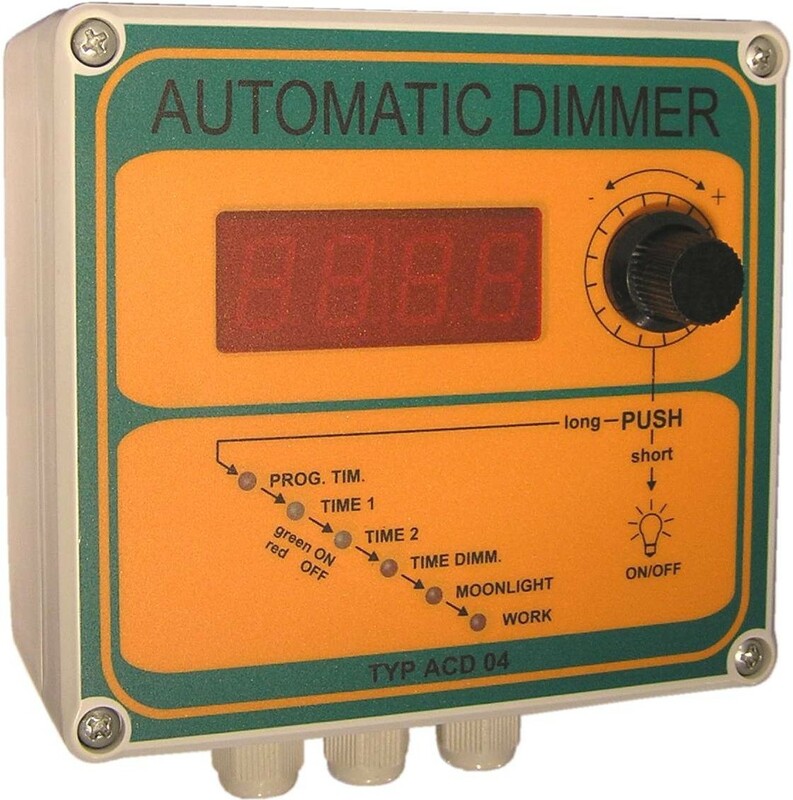 Automatic Dimmer TYPE ACD04 and ACD06 in PDF format. Click here to start the download. Also suitable for dimmable LED lamps.